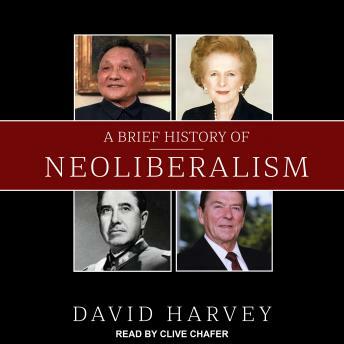 Neoliberalism-the doctrine that market exchange is an ethic in itself, capable of acting as a guide for all human action-has become dominant in both thought and practice throughout much of the world since 1970 or so. Writing for a wide audience, David Harvey, author of The New Imperialism and The Condition of Postmodernity, here tells the political-economic story of where neoliberalization came from and how it proliferated on the world stage. Through critical engagement with this history, he constructs a framework, not only for analyzing the political and economic dangers that now surround us, but also for assessing the prospects for the more socially just alternatives being advocated by many oppositional movements.